Tsumoite: Mineral information, data and localities. Named after its discovery locality, the Tsumo Mine, Shimane Prefecture, Japan. Possibly in a polymorphic relation with UM1990-77-Te:BiPb. Gold 14 photos of Tsumoite associated with Gold on mindat.org. Quartz 13 photos of Tsumoite associated with Quartz on mindat.org. Yecoraite 3 photos of Tsumoite associated with Yecoraite on mindat.org. Tetradymite 2 photos of Tsumoite associated with Tetradymite on mindat.org. Tellurobismuthite 1 photo of Tsumoite associated with Tellurobismuthite on mindat.org. Pyrrhotite 1 photo of Tsumoite associated with Pyrrhotite on mindat.org. Electrum 1 photo of Tsumoite associated with Electrum on mindat.org. Smirnite 1 photo of Tsumoite associated with Smirnite on mindat.org. Bradleyite 1 photo of Tsumoite associated with Bradleyite on mindat.org. Pyrite 1 photo of Tsumoite associated with Pyrite on mindat.org. [MinRec 39:476]; Kalleske, N. L. (2010). Mineralogical and petrogenetic study of gold ore from the Boddington Gold Deposit, WA (Doctoral dissertation). Leikauf, B., Leikauf, B. (2018): 1826) Altait, Bornit, eine Gold-Silber Legierung, Hessit, Linarit, Löllingit, Oxyplumboromeit ("Bindheimit"), Sphalerit, Tsumoit, Wismut und Wittichenit aus dem Kupfervorkommen der Wolfgruben bei Seiz, Liesingtal, Steiermark. Pp. 242-243 in Walter, F. et al. (2018): Neue Mineralfunde aus Österreich LXVII. Carinthia II, 208./128., 185-254. Bogdanov, K., Tsonev, D., Popov, K. (2004): Mineral assemblages and genesis of the Cu-Au epithermal deposits in the southern part of the Panagyurishte ore district, Bulgaria. In: Proceedings of the 10th International Congress, Thessaloniki, April 2004.; Bogdanov, K., Tsonev, D., & Popov, K. (2004). Mineral Assemblages And Genesis Of The Cu-Au Epithermal Deposits In The Southern Part Of The Panaguyrishte Ore District, Bulgaria. Bulletin of the Geological Society of Greece, 36:406-415; Cook, N. J., Ciobanu, C. L., & Bogdanov, K. (2002) Trace mineralogy of the Upper Cretaceous banatitic Magmatic and metallogenetic Belt, SE Europe. In 11th Quadrennial IAGOD symposium–Geocongress 2002, Windhoek, Namibia, July 2002. CD Volume of extended abstracts. Roberts, J. (2017). Telluride mineralogy at the Deer Horn Au-Ag-Te-(Bi-Pb-W) deposit, Lindquist Peak, west-central British Columbia: implications for the generation of tellurides (MS dissertation, University of British Columbia). López K Jesús M., Moreira Jesús, Gandarillas José (2006): GEOLOGY OF THE FLORENCIA GOLD – TELLURIDE DEPOSIT (CAMAGÜEY, CUBA) AND SOME METALLURGICAL CONSIDERATIONS. Earth Sciences Research Journal 10(2), 105-116. Jiri Sejkora (2009) Journal of Geosciences, 54, #1, 73-82. Fojt, B., Hauk, J., Kotrba, Z.: Mineralogie zlata a doprovodných minerálů ze Zlatého chlumu u Jeseníku. Věstník ÚÚG, 1988, 63, 2. Vavřín, I.: Nové poznatky o selenidech Českého masívu. Bulletin Mineralogicko-petrografického oddělení Národního muzea v Praze, 1994, roč. 2, s. 82-89. Scharmová, M.: Nové nálezy selenidů a telluridů na uranových ložiskách Zadní Chodov a Vítkov II. Bulletin mineralogicko-petrografického oddělení Národního muzea v Praze, 1998, roč. 6, s. 212-216. Pauliš, P.: Nejzajímavější mineralogická naleziště Čech II. Kutná Hora: Kuttna, 2003, s. 96 - 98.; Pašava, J., Vavřín, I., Frýda, J., Janoušek, V., & Jelínek, E. (2003). 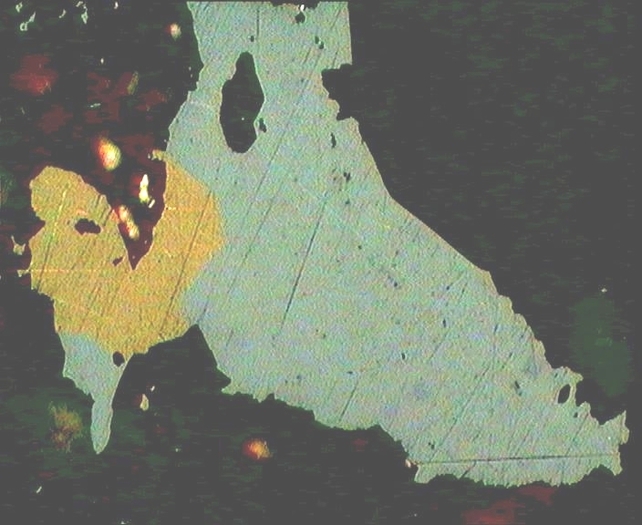 Geochemistry and mineralogy of Platinum-group elements in the Ransko gabbro–peridotite massif, Bohemian Massif (Czech Republic). Mineralium Deposita, 38(3), 298-311. Torró, L., Proenza, J.A., Espaillat, J., Belén-Manzeta, A.J., Román-Alday, M.C., Amarante, A., González, N., Espinoza, J., Román-Alpiste, M.J., Nelson, C.E. (2018) The discovery of the Romero VMS deposit and its bearing on the metallogenic evolution of Hispaniola during the Cretaceous. Minerals 8, 507. Kojonen, Kari, Johanson, Bo, Pakkanen, Lassi and O´Brien, Hugh 1991. Ilomantsin Korvilansuo Au-malmiaiheen mineralogiaa ja petrografiaa, 40 s. Geologian Tutkimuskeskus arkistoraportti M19/4244/-91/1/42. Geological Survey of Finland 2008. Pampalo(Ward)-Gold Database. ⓘ Sulphide deposit (Sohlander Bergsegen) ? ⓘ Adami No. 2 Mine & Others ? Kolitsch, U., Rieck, B. and Voudouris, P. (2015): Mineralogy and genesis of the Lavrion ore deposit: new insights from the study of ore and accessory minerals. MinPet 2015, Leoben, Austria, September 10-13; abstract in Mitt. Österr. Mineral. Ges. 161, 66. Safonov, Yu.G. et al (1984) Journal of the Geological Society of India, 25, 33, 145-154. Canet, C., Camprubí, A., González-Partida, E., Linares, C., Alfonso, P., Piñeiro-Fernández, F., and Prol-Ledesma, R.M. (2009): Ore Geology Reviews 35, 423-435. Cook, N. J., & Ciobanu, C. L. (2003). Cervelleite, Ag4TeS, from three localities in Romania, substitution of Cu, and the occurrence of the associated phase, Ag2Cu2TeS. Neues Jahrbuch für Mineralogie-Monatshefte, 2003(7), 321-336. Vikent'eva, O., & Vikentev, I. (2016, April). Occurrence modes of As, Sb, Te, Bi, Ag in sulfide assemblages of gold deposits of the Urals. In IOP Conference Series: Materials Science and Engineering (Vol. 123, No. 1, p. 012028). IOP Publishing. ; Vikent'eva, O., & Vikentev, I. (2016, April). Occurrence modes of As, Sb, Te, Bi, Ag in sulfide assemblages of gold deposits of the Urals. In IOP Conference Series: Materials Science and Engineering (Vol. 123, No. 1, p. 012028). IOP Publishing. Vikent’eva, O. V., & Bortnikov, N. S. The Large Svetlinsk Au-Te Deposit, South Urals: Telluride Mineralization for Genetic Reconstructions. MINERAL RESOURCES IN A SUSTAINABLE WORLD • 13th SGA Biennial Meeting 2015. Proceedings, Volume 2 pp851-854; Vikentyev, I. V., & Vikentyeva, O. V. (2015). Precious metal minerals and “invisible” gold in sulfide ores of Urals. In Mater. of ХII Int. Sci. Conf.“Advanced Technologies, Equipment and Analytical Systems for Materials and Nano-Materials (Vol. 3, pp. 33-41). ; Vikent'eva, O., & Vikentev, I. (2016, April). Occurrence modes of As, Sb, Te, Bi, Ag in sulfide assemblages of gold deposits of the Urals. In IOP Conference Series: Materials Science and Engineering (Vol. 123, No. 1, p. 012028). IOP Publishing. Anthony, Bideaux, Bladh, Nichols: "Handbook of Mineralogy", Vol. 1, 1990; Kulikov, I. V., & Boyarskaya, R. V. (1989). Hydrosaline melts in inclusions in fluorite from the Tyrnyauz Deposit. International Geology Review, 31(10), 1039-1054. Safonov, Y. G., Volkov, A. V., Vol’fson, A. A., Genkin, A. D., Krylova, T. L., & Chugaev, A. V. (2003). The Maisk Quartz Gold Deposit (Northern Karelia): Geological, Mineralogical, and Geochemical Studies and Some Genetic Problems. Geol. Rudn. Mestorozhd, 45(5), 429-451. Krivitskaya, N. N., Bryzgalov, I. A., & Spiridonov, E. M. (2008, June). Jonassonite AuBi 5 S 4: The first find in Transbaikalia. In Doklady Earth Sciences (Vol. 420, No. 1, pp. 576-579). MAIK Nauka/Interperiodica. Grensman, F. (1989): Björkdalsgruvan. NAGS-nytt 16(2), 15.; Nysten, P. (1990): Tsumoite from the Björkdal gold deposit, Västerbotten County, northern Sweden. GFF 112, 59-60.; Mäki, T. (1997). Volcanic hosted massive sulphide and gold deposits in the Skellefte district, Sweden and western Finland. Geological Survey of Finland. Il'ina, L. I.; Rakhmanova, N. V.; Shumskaya, N. I.; Yakovleva, O. A. (1990): Some rare minerals of the Kochbulak ore deposit. 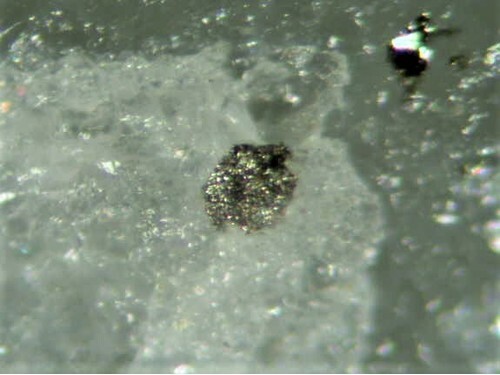 Zapiski Vsesoyuznogo Mineralogicheskogo Obshchestva 119(6), 87-92 (in Russian). ["sulfotsumoite"]; Plotinskaya, O. Y., Kovalenker, V. A., Seltmann, R., & Stanley, C. J. (2006). Te and Se mineralogy of the high-sulfidation Kochbulak and Kairagach epithermal gold telluride deposits (Kurama Ridge, Middle Tien Shan, Uzbekistan). 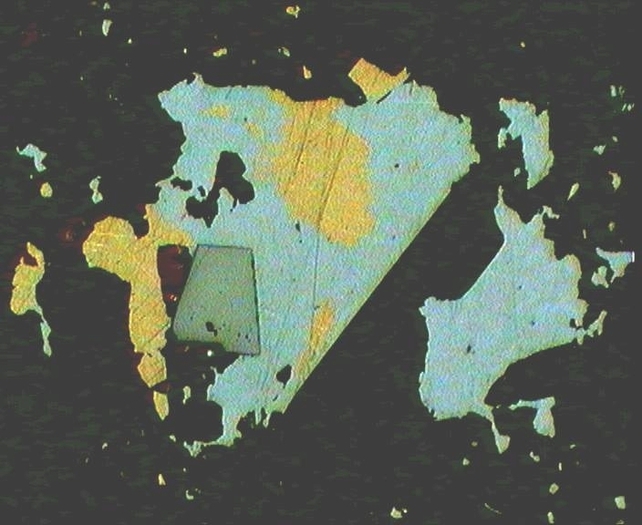 Mineralogy and Petrology, 87(3-4), 187-207.; Kovalenker, V. A., Safonov, Y. G., Naumov, V. B., & Rusinov, V. L. (1997). The Epithermal Gold-Telluride Kochbulak Deposit. Geology of Ore Deposits C/C of Geologiia Rudnykh Mestorozhdenii, 39, 107-128.